Loyal to a fault, this group of mercenaries that dwell just outside of Cedar Wharf will do pretty much anything for the right price. Under the leadership of Philichop, this delightful group of assassins acts tougher than they really are. 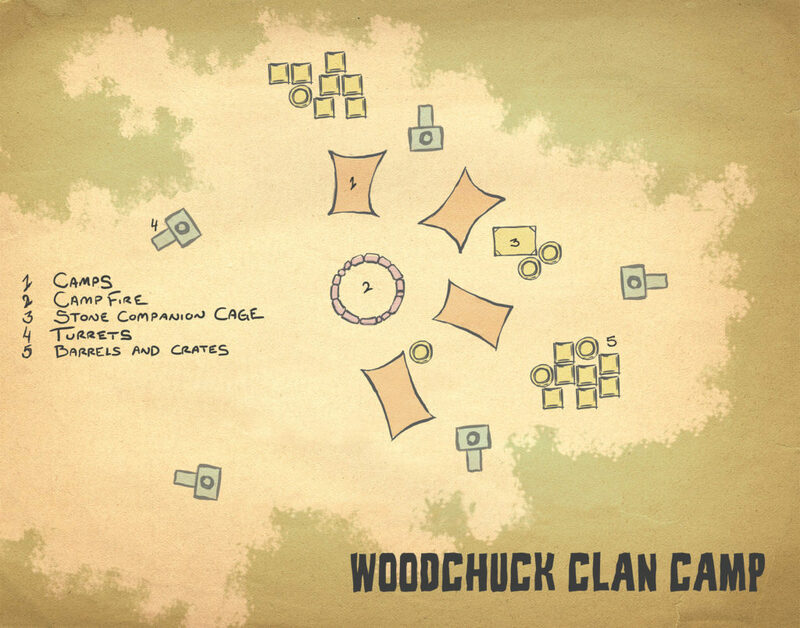 Above are some of the layouts and current models of the Woodchuck Clan’s Camp.